Mission: Pantocrator Gallery through its residencies programs, seeks to strengthen intercultural relations between artists of proven track record and emerging artists from different parts of the world. During all the year, 2 selected artists residents, working in the area of the gallery, for a period of 1-2 months for each artist. Artists can work in any medium they desire, from painting, collage, video, digital art or sculpture to the transformation of their study in an installation or operation of the area. These artists will exhibit and create new work in the gallery as their studio. The gallery is open to the public to interact with artists and see work in progress. Shanghai is one of the most important new cosmopolitans of Asia, where the city is growing at a dizzying pace and where international contemporary art is in the spotlight. 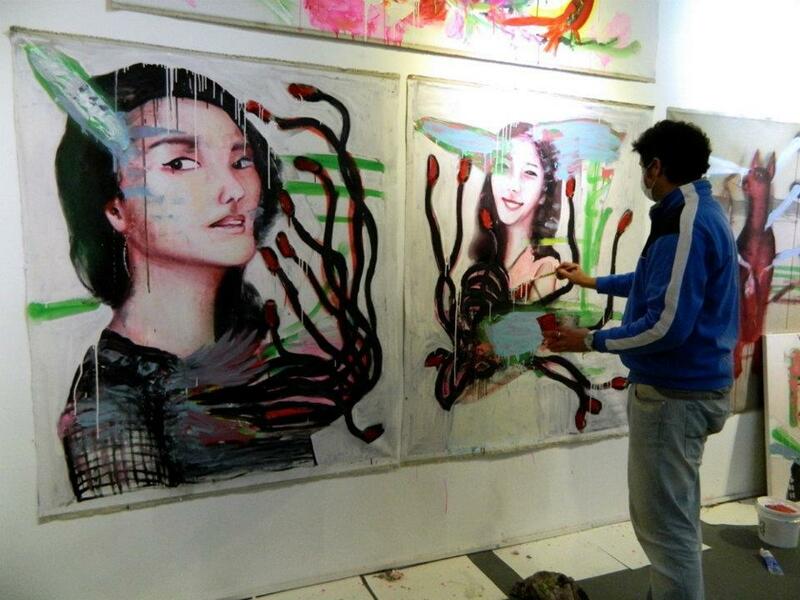 A new generation of Chinese people are becoming interested in art, and in their national and international culture. Every year, Pantocrator Gallery takes part in international art fairs around the world where we can promote the work of our artists. Cost: Total price for one month (1-2 artists per month along the year) in the “Pan Stage”: 750€ per artist. Following admission, the artist must make an initial payment of 650€ to ensure his place. Payment will be transfer in the european account of Pantocrator Gallery in € and must be paid no later than two months before the date given for star the residence. The second payment of 100€ will be made upon arrival at the gallery in chinese cash (RMB). Once executed the second payment and signed the contract that specifies the conditions of space use, will be given the key door space and the internet code for the artist makes use of the space at any time. Artists can manage the scholarship application, grants or financial support in their home countries during the application period. Pantocrator Gallery will provide the necessary documentation to the selected applicant that so requires. We work without any kind of support, therefore the artist have to pay for this program. 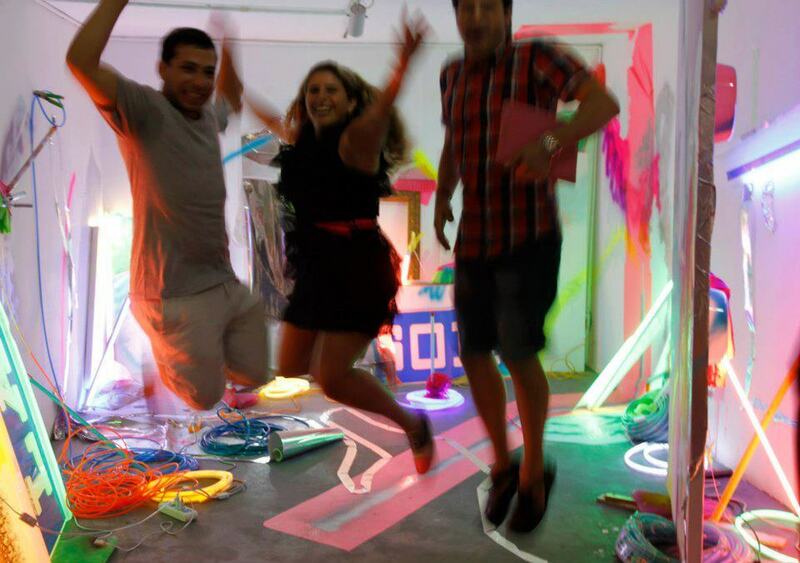 We facilitate all the necessary documentation for the artist to apply grants in their country of origin. Accommodations: The accommodation is not included. Recommendation for accommodation for the artists coming from outside of Shanghai will be provided if requested. 50 square metres of Gallery and Residence. Very comfy place with assistant in the gallery for the visitors and for the artists. Demographic/Medium: Emerging national and international artists. Artists can work in any medium they desire, from painting, collage, video, digital art or sculpture to the transformation of their study in an installation or operation of the area. Posted in China, China Residencies, Pantocrator GalleryTagged art residency, Artist Residency, China, China Residencies, Pantocrator Gallery, Rate My Artist Residency, ShanghaiBookmark the permalink. This was actually my first ever artist in residency experience and it turned out to be so good, that I wonder why I haven´t done this before. The M50 art district where the gallery is located is a very inspiring surrounding. It´s a bit like a little town of it´s own. More than 140 galleries and studios provide an atmosphere that is ideal to create work and meet artists, gallerists and collectors. It is also a bit like an art fair, after a while you get to know your neighbours who are very friendly and open. The gallery is accesible from two sides. So while you are working there, visitors are coming and going. But you can also close the doors if you don´t want to be disturbed. For me one of the most important thing was the exchange of thoughts with visitors and other artists. In only 3 weeks I managed to make more work than in my studio in Berlin in 2 month. And my work changed. It benefitted from the special energy of the place and the people. And the best at the end; the Pantocrator team helped me to get one of my paintings into the collection of the museum of Shandong.